“We still have to look at the boat and what we can do to improve it. There’s a long way to go in my mind.” — James Spithill, after today’s loss to Barker and Team New Zealand. 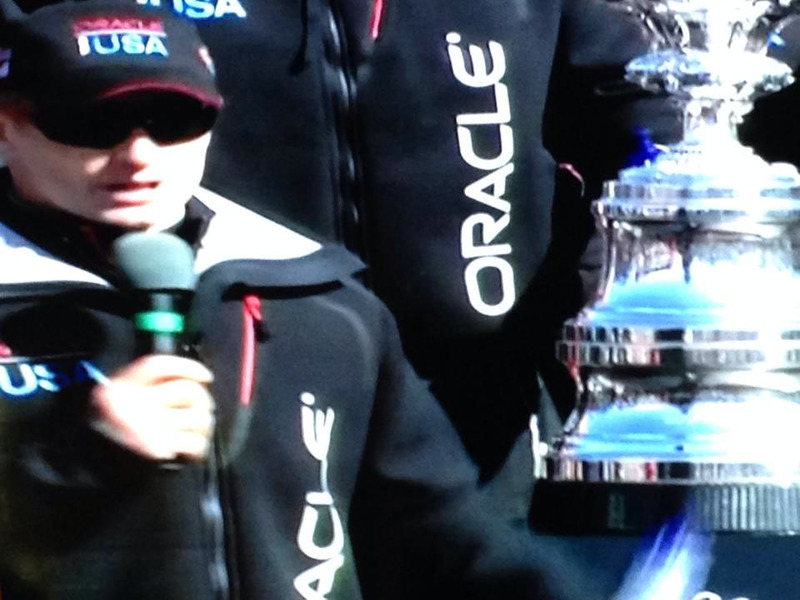 America’s Cup defender ORACLE TEAM USA grabbed headlines this morning when the day’s crew lists were released. The defender had changed tacticians, inserting four-time Olympic gold medalist Ben Ainslie in place of past America’s Cup champion John Kostecki. Later in the day on the racecourse, it was Emirates Team New Zealand that stole Races 6 and 7 from the defender and now stands two-thirds of the way to winning the oldest trophy in international sport. 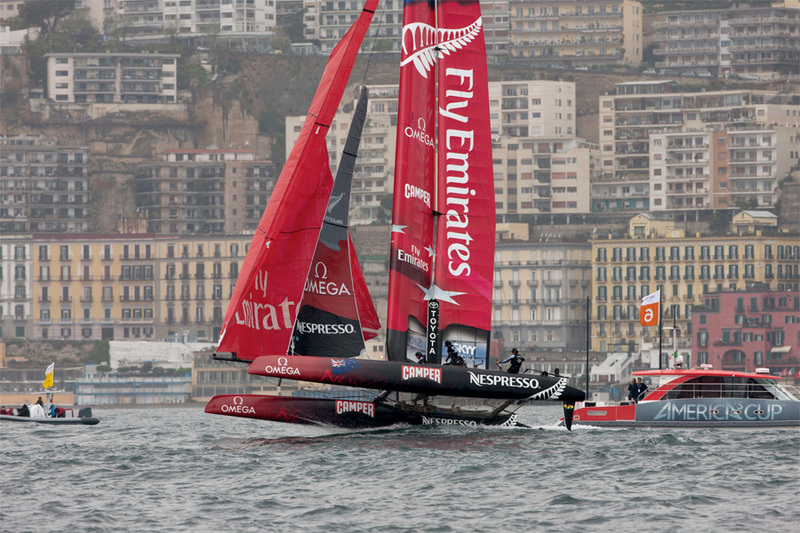 Emirates Team New Zealand leads the series 6-0 after winning Race 6 by 47 seconds and Race 7 by1:06. The winner of the 34th America’s Cup will be the first team to win 9 points. For the Kiwis that means three additional race wins and for ORACLE TEAM USA it means 10, due to a penalty imposed by the International Jury. In Race 6 Barker said he was asleep all through the pre-start of the race, which put the team on the back foot. But in a similar scenario to Race 5, the team fought from behind on the upwind leg and passed the defender to gain the lead and then extend. The win in Race 7 was a wire-to-wire performance. 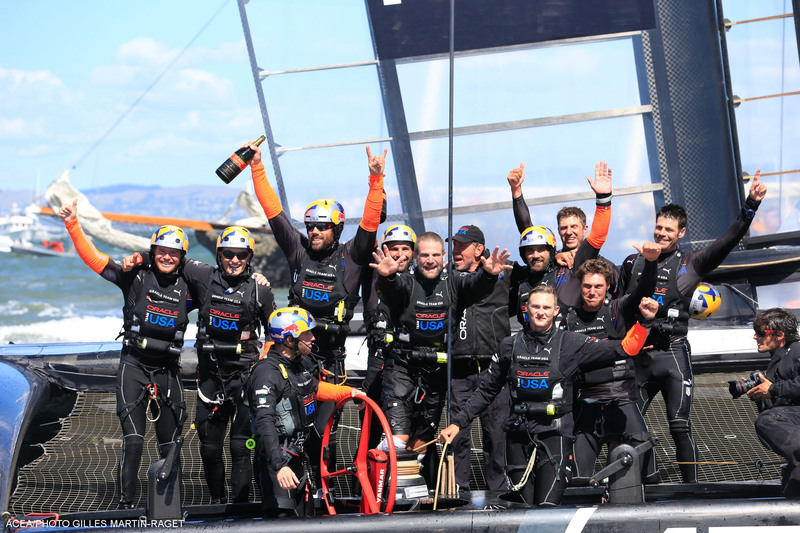 The Kiwis started to windward of ORACLE TEAM USA and crossed onto the racecourse riding on their hydrofoils and doing approximately 38 knots. They rounded the first turning mark in the lead and were never threatened the rest of the race. Emirates Team New Zealand was untouchable on the two upwind legs. 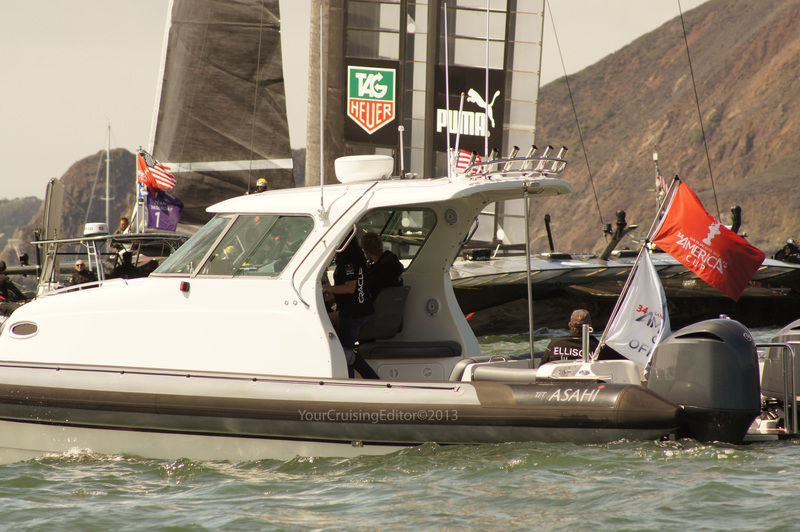 In Race 6 the Kiwis gained 55 seconds on the 3-nautical-mile leg and 50 seconds in Race 7. Upwind, downwind? It’s still a tacking war. 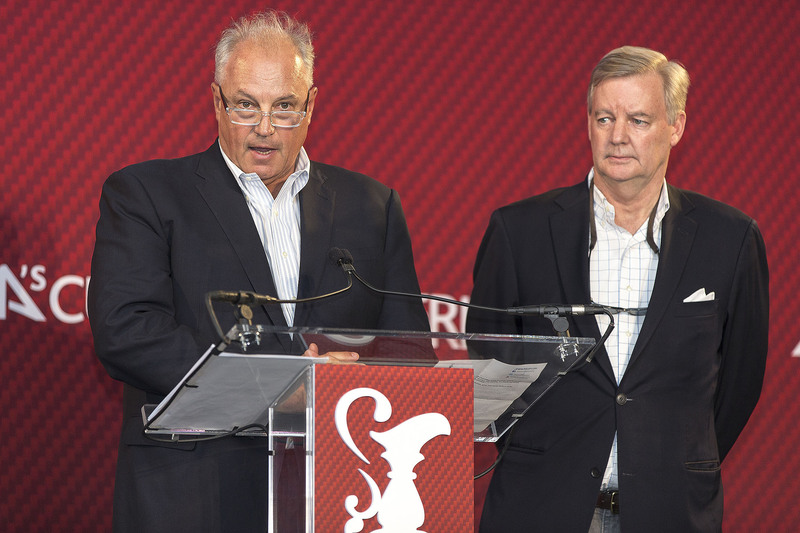 That upwind speed edge rendered moot ORACLE TEAM USA’s decision to change its decision maker. Kostecki, who guided Spithill to victory in the 33rd America’s Cup in 2010, opened the match in the back of the boat, but after five races came under fire for some of his decisions. Spithill decided yesterday to insert four-time Olympic gold medalist Ainslie in his place. Ainslie has been the team’s B boat helmsman and is widely considered a skipper, but the team felt change was needed for the sake of change. “Sure we made a change in the back of the boat. Both John and Ben are fantastic sailors, two of the best sailors in the world. We’re very fortunate that we can rotate guys like that. But we’ll have to study the data and see what we can do to change up the boat. As it was my day to be out on the bay following the action from one of the Defender speed boats, I was hoping that Oracle Team USA would have at least one win. It’s my Birthday for goodness sakes! Just one win… that’s not too much to ask for, right? Spithill and crew had a great start to race 1 but as we watched them heading for the finish, I saw Oracle jibe left toward the Marina Green, leaving New Zealand headed straight for the gates. Whaaa? I was dumbfounded. What were they thinking? It was exciting to finally get out there and watch the racing “up close & personal” and I did get some great shots of both yachts as well as some of the cheering fans. And so the day wasn’t a complete loss. …just for Oracle Team USA. Racing resumes on Saturday with Races 8 and 9, scheduled for 1:15 pm PT and 2:15 pm PT. 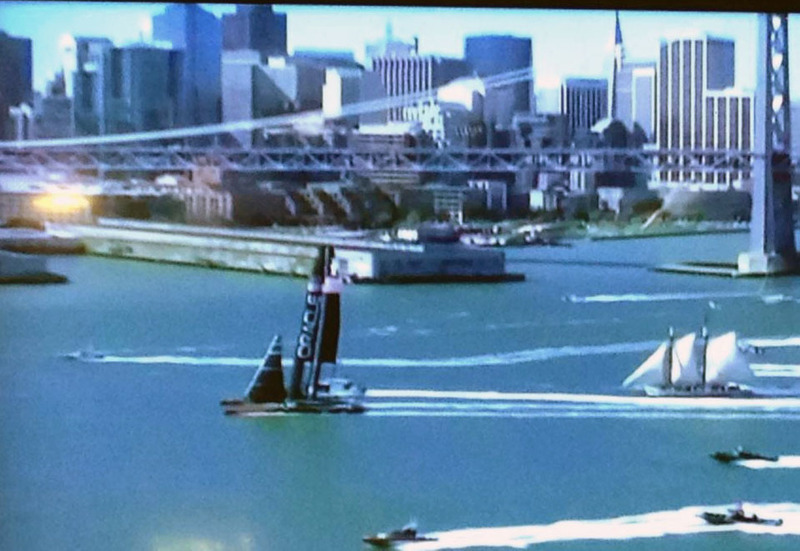 In the U.S., the America’s Cup Finals will be broadcast live on the NBC Sports Network. 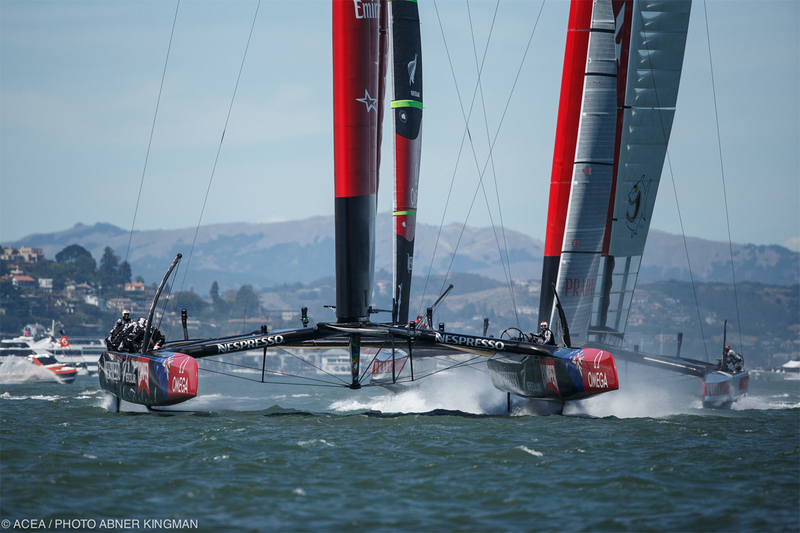 Replays will be available on the America’s Cup YouTube channel. 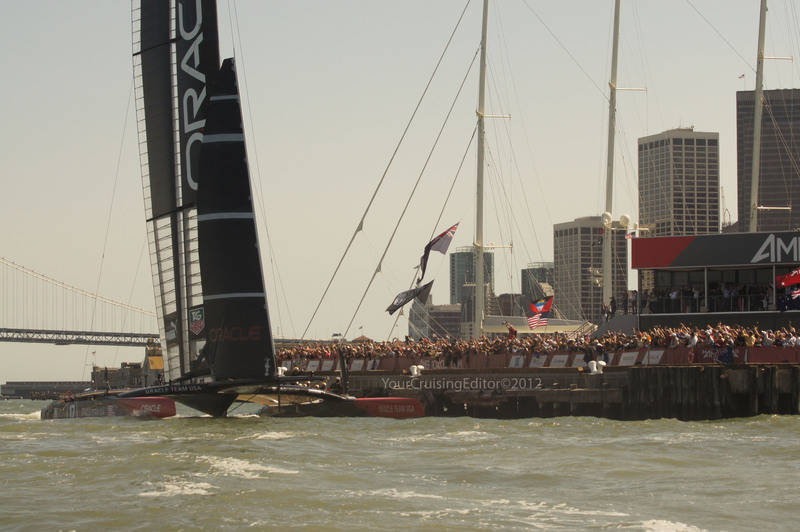 Emirates Team New Zealand leads the 34th America’s Cup 2-0 after the first day of racing. 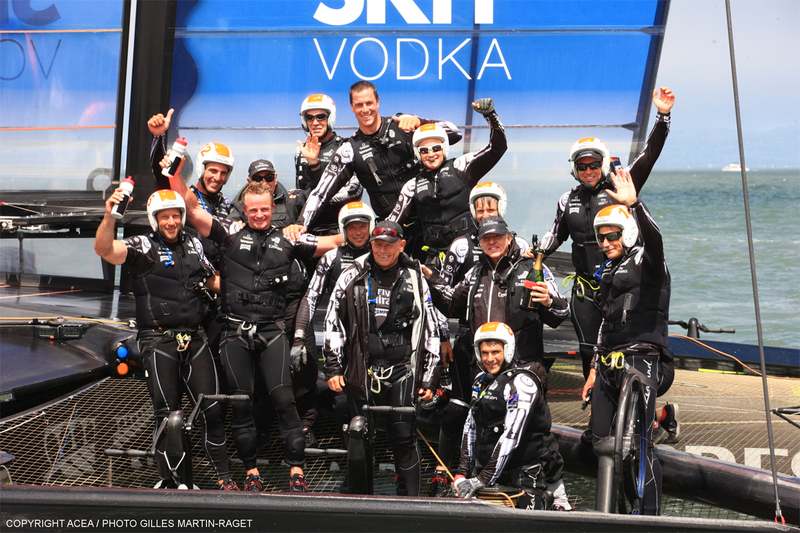 The Kiwi crew, led by skipper Dean Barker, won the two races by 36 and 52 seconds in some fantastic racing. “That was a fantastic day. We’re really happy with how it all panned out,” said Kiwi tactician Ray Davies. Wicked Fast And So Much Fun To Watch! Now that there’s more than one boat racing, it’s time to get the cameras rolling and watch these behemoth Cats fly. Whether or not you are of the camp that misses the days of the monohul, or – like me, wish that the powers that be had stuck with the 45s to include more teams, I think we can all agree that it’s a ton of fun to watch these cats fly. After the official judgement was given (on the controversial ruling and safety issues) allowing all the teams to get on with the racing, the first actual race was finally run. The decision made by the International Jury upheld protests by Emirates Team New Zealand and Italy’s Luna Rossa Challenge that the Regatta Director alone could not change some of the regatta rules, even if he was acting in the best interests of all the sailors. 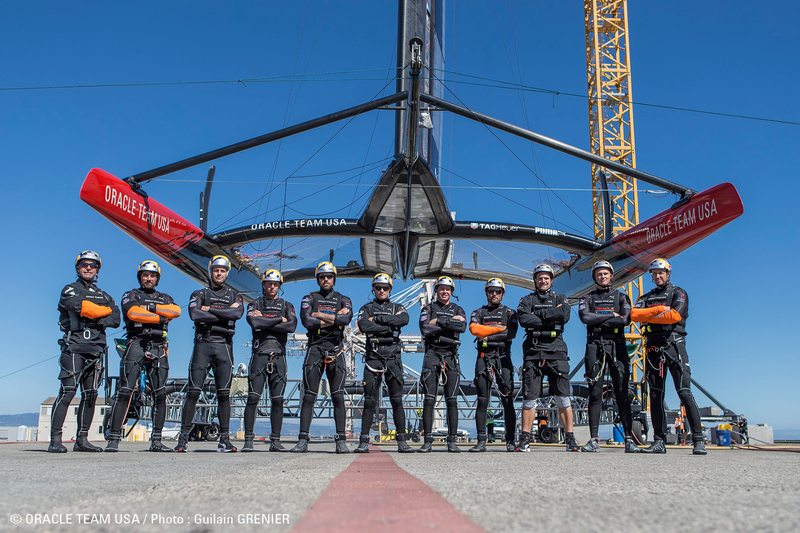 In effect, it stated that the teams must adhere to the AC72 Class Rule as well as to the 37 safety rules established following the Artemis Racing capsize that resulted in the tragic death of Andrew ‘Bart’ Simpson in May. 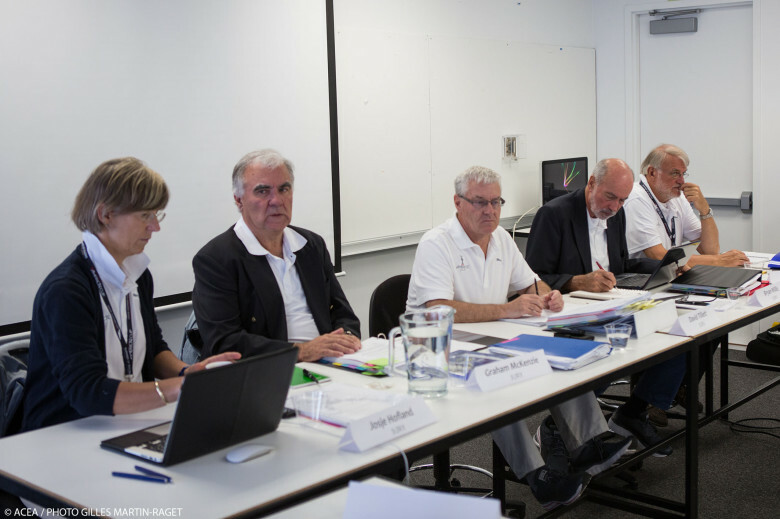 San Francisco (USA,CA) – 34th America’s Cup – Jury Meeting, July 8 – The jury : Josje Hofland (NED), Graham McKenzie (NZL), David Tillett (AUS), Bryan Willis (GBR), John Doerr (GBR). Emirates Team New Zealand and Luna Rossa Challenge are familiar partners in the America’s Cup arena. 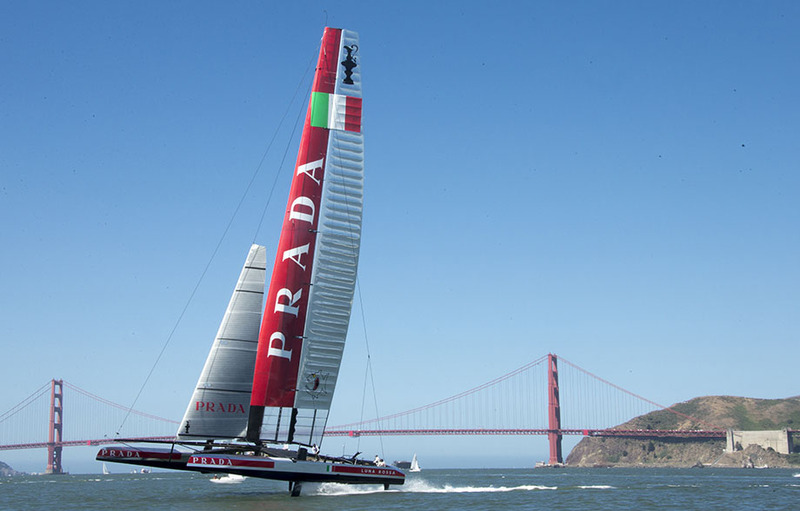 The two teams contested the 2000 America’s Cup Match, were finalists in the 2007 Louis Vuitton Cup Final, and have shared a design package and many hours of training together in the lead up to the 2013 America’s Cup. 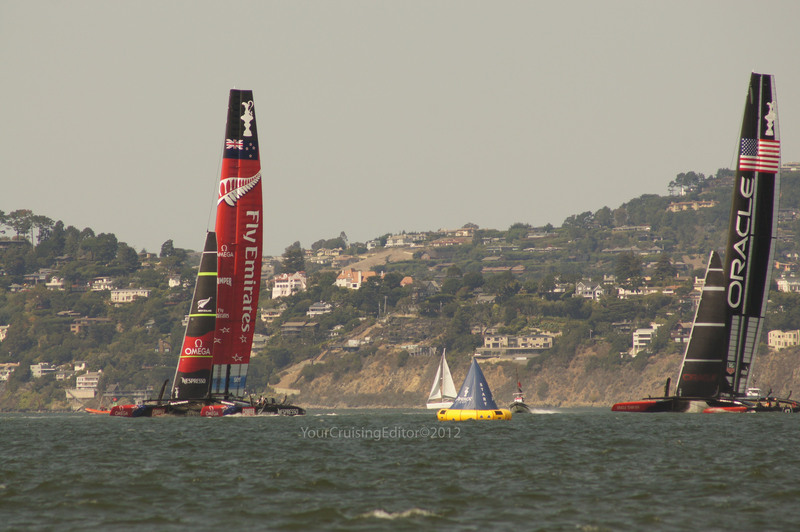 Round Robin – Race Day 4 – Luna Rossa vs ETNZ. Over the weekend, on Saturday – the familiar foes contested the first two-boat race of the 2013 Louis Vuitton Cup, the America’s Cup Challenger Series, and the reigning champions from New Zealand came out on top. Skipper Dean Barker and the Emirates Team New Zealand crew made today’s race look effortless. With the wind blowing around 17 knots, Emirates Team New Zealand held up Luna Rossa in the pre-start and then sailed away to win by nearly five and a half minutes on the 15.47-nautical-mile course. The Kiwis completed the course in 43 minutes, 52 seconds. 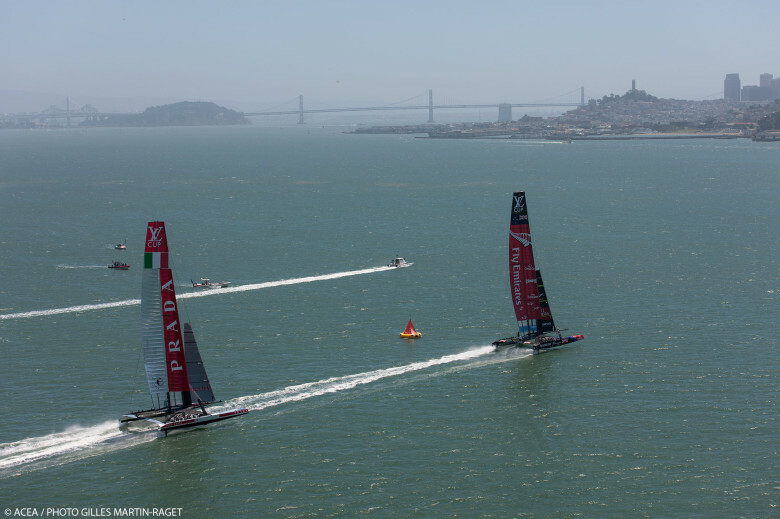 They recorded a top speed of 42.33 knots (48 mph), compared to Luna Rossa’s 39.95 knots (46 mph). Stay tuned for more AC34 action! Video and news update courtesy of www.americascup.com. 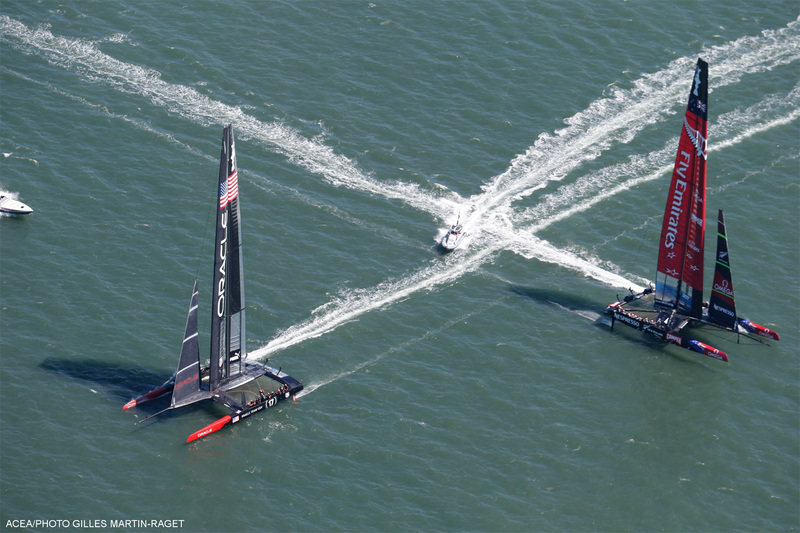 Along for a “test flight” with ORACLE TEAM USA – Simply breathtaking! 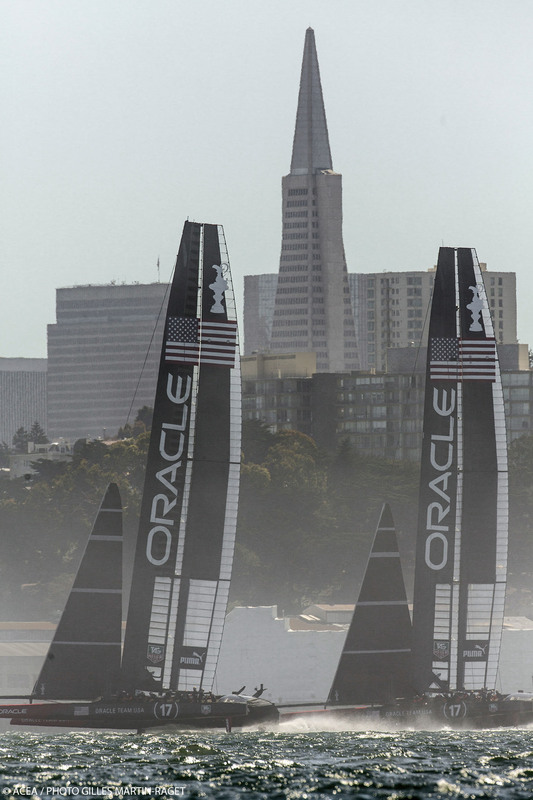 There’s no other way to put it… watching ORACLE TEAM USA “fly” their AC72 on foils is simply breathtaking. Austrians Roman Hagara and Hans-Peter Steinacher, double Olympic Gold medalists in the Tornado catamaran, have entered the upcoming America’s Cup World Series Naples, scheduled Apr. 16-21. The duo will sail under the banner HS Racing and race under the US flag in partnership with ORACLE TEAM USA. HS Racing is one of nine crews entered in the regatta, which will also feature America’s Cup World Series leader ORACLE TEAM USA, second-placed Luna Rossa Piranha, third-placed Artemis Racing White, J.P. Morgan BAR, Energy Team, Emirates Team New Zealand, Luna Rossa Swordfish and China Team. Hagara and Steinacher were Gold medalists at the Sydney 2000 and Athens 2004 Olympics. They are also the sports directors for the Red Bull Youth America’s Cup, scheduled Sept. 1-4 in San Francisco. Familiar names are lining up for the final AC World Series event, with sailors such as Dean Barker of Emirates Team New Zealand, Francesco Bruni and Chris Draper of Luna Rossa, Yann Guichard of Energy Team and Tom Slingsby of ORACLE TEAM USA scheduled to compete. Sweden’s Artemis Racing will be helmed by 23-year-old Charlie Ekberg, Sweden’s top 49er sailor and skipper of Artemis Racing/Swedish Youth Challenge for the Red Bull Youth America’s Cup. The Naples event will also feature the return of Mitch Booth to the helm of China Team, while Ben Ainslie will skipper his J.P. Morgan BAR team. Team Korea, previously an America’s Cup World Series participant and Louis Vuitton Cup entrant, has withdrawn from further competition in the 34th America’s Cup. 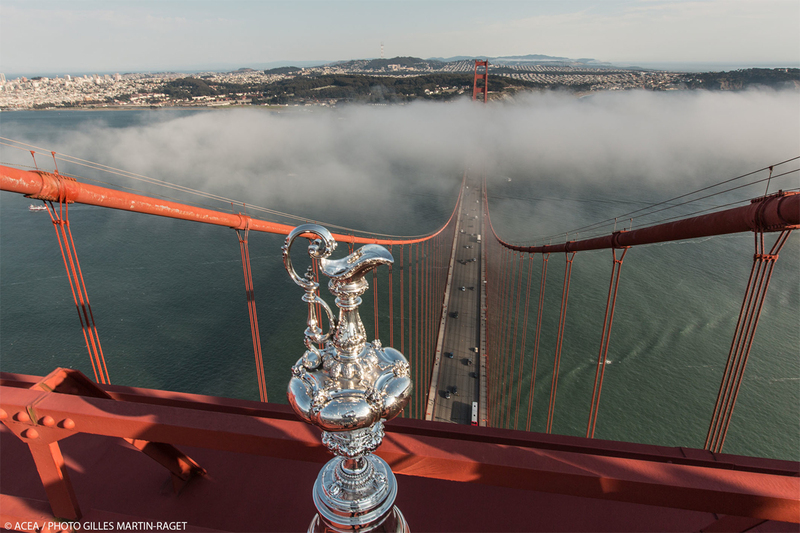 In a letter to the Golden Gate Yacht Club, the team indicated it has plans to enter the 35th America’s Cup. Last year’s AC World Series Naples drew crowds estimated at 500,000, who were there in part to catch the debut of Luna Rossa Challenge 2013. Draper led his Luna Rossa Piranha crew to a thrilling win in the final fleet race. The victory kicked off celebrations among the tens of thousands of Italian America’s Cup fans lining the Naples waterfront to catch a glimpse of their heroes.